Happy Friday!! 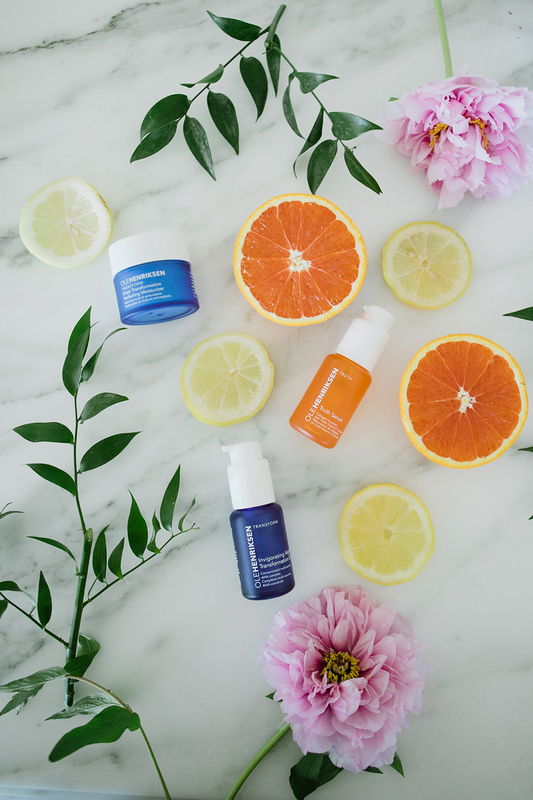 Today I’m excited to share with you a product I was sent a few months ago from OleHenriksen called 3 Little Wonders. I wanted to try it out out test it before agreeing to write a post on it, and I’ve been using it for about a month now and really like how it makes my face feel. 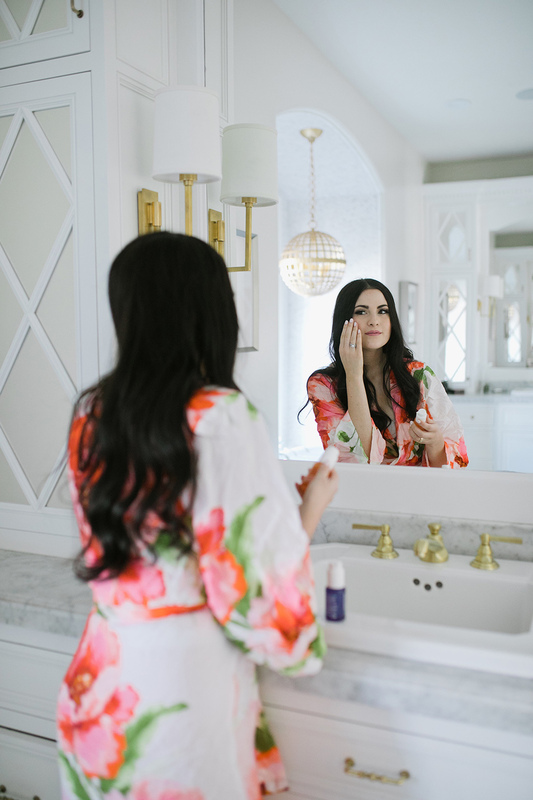 Since I’m in my late twenties I’ve been trying to use products that have anti-aging ingredients in them to help my skin feel and look more youthful and radiant. I don’t have any wrinkles yet so I haven’t necessarily noticed less aging, but I’m hoping as I keep using it it will prevent future wrinkles and fine lines! 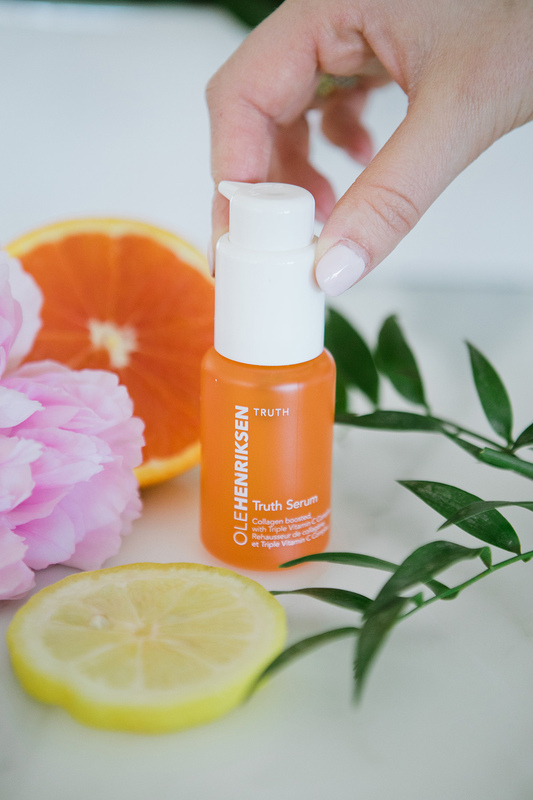 I was first drawn to 3 Little Wonders because it has Vitamin C and Collagen and other antioxidants that are super good for your skin. Plus I think the bright packaging is cute and it smells so fresh and amazing! It has three key pieces (Truth Serum, Sheer Transformation Perfecting Moisturizer and Invigorating Night Transformation Gel) that make your skin more bright, firm and smooth. The Truth Serum is probably my favorite step because when I put it on I can literally feel it in my face. That’s what hooked me to keep using it, I could actually feel my face firming and visibly getting brighter and I knew it was working! I apply it to my face and neck every morning followed by the moisturizer and at night after I wash my face I use the transformation gel. All three are now staples in my daily beauty routine! 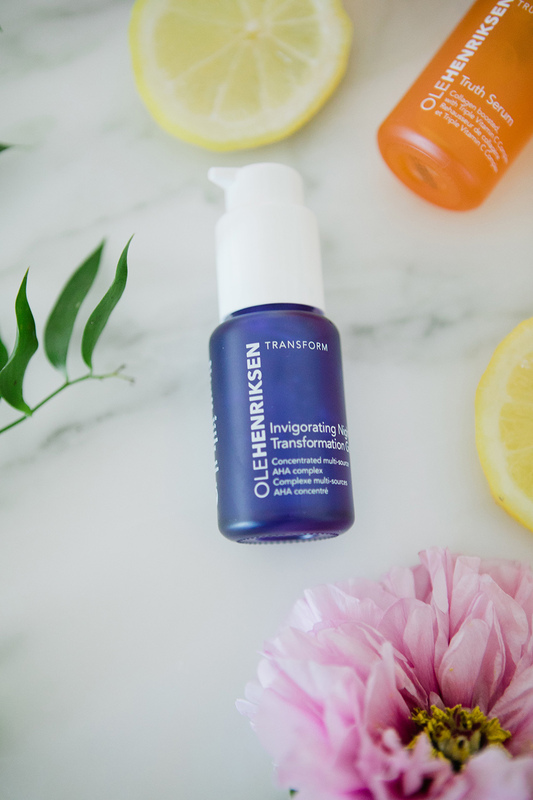 Have you guys used Ole Henriksen products before? I’d love to hear what some of your favorite anti-aging products are! Brought to you by Ole Henriksen. You really do! I think you’d love them! Thanks for sharing this product. I haven’t found any great ones yet. If you give this a try, let me know what you think!! These products sound great! I’ve actually used Ole Henriksen products before and I’ve noticed that the first time around, my skin responded well to them. However, when I repurchased for continual use, I hadn’t experience the same amazing results I had when I first started. I don’t know if its that my skin became so used to it or what, so weird. I’ll have to keep this line in mind, since they aren’t any of the products I’ve used before, perhaps it’ll be different. Thanks for sharing and I hope you have a great weekend! I recently started using a few Ole Henriksen products and have loved it so far! My skin feels so fresh afterwards! Ole Henriksen products are amazing! 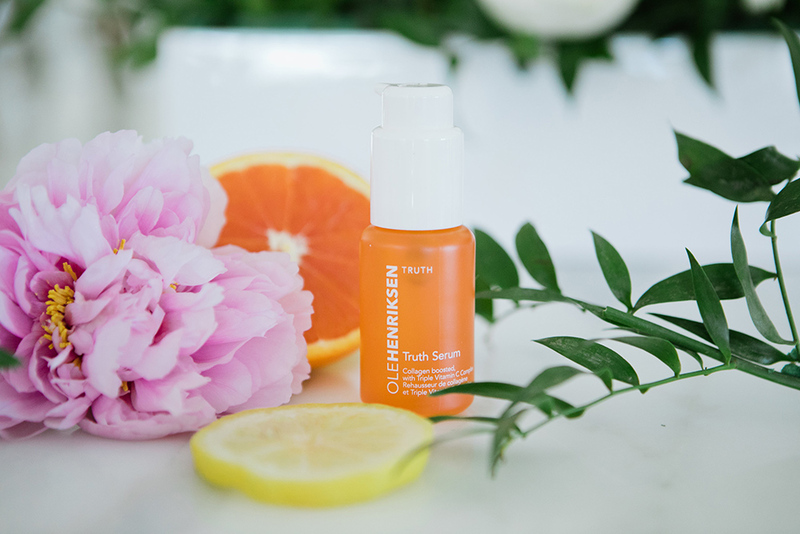 OleHenriksen & Peter Thomas Roth are my go-to’s for skincare. I used my beauty rewards on this OH system at Sephora and cannot wait to try it after reading your review. Thanks! I think you would love it!! But I totally agree, see if you can get some samples first :) I love the Truth Serum! Love this line! You should try the three step Brightening masks. My skin looks and feels amazing afterward. Love this! Where is your robe from? I love it!! I’ve been obsessed with Sheer Transformation for probably 5 or 6 years now. I started using it for my hands honestly because my eczema was so bad, but it became a favorite for my face too. It’s hydrating and helps calm down my acne scars and under eye circles. My husband always tries to steal it! I’ve bought so much from Ole Henrickson it’s ridiculous. The Vitamin C cleansers last forever with my Clarisonic so they’re worth the money!! I absolutely love the way vitamin C makes my skin look so revitalized! I love Ole Henriksen! I’ve used all their products in the balanced line and they are fantastic. If you are looking for more radiant skin, I recommend the face wash and toner from the balanced line, they definitely made my skin have that #oleglow!! 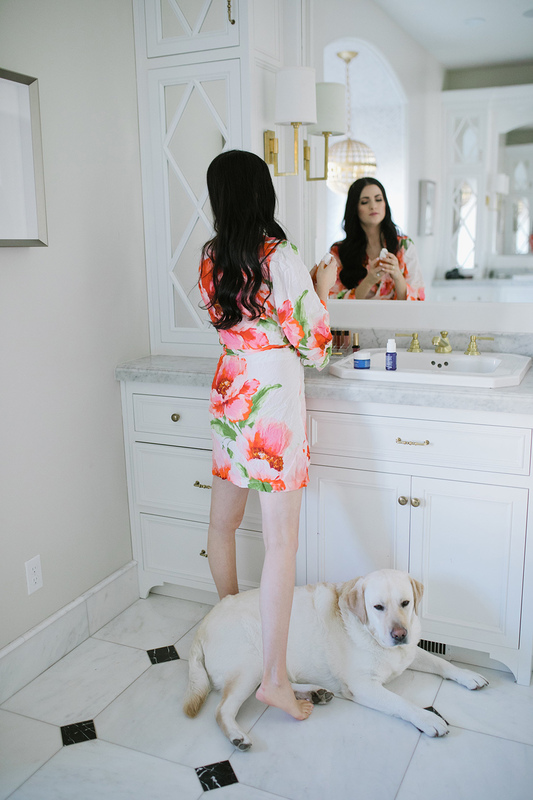 Love, love seeing you in our Xanadu robe! Love trying out new serums – I’ll have to give these a try! I got the 7 day trial from Sephora and have really loved it so far! The lemon strip flash peel from Ole is also really great if you want to do a non abrasive exfoliating mask! Lovely photos! Bright, punchy, colors for a wonderful aesthetic! Ole is a great product and the serums work. I must ask; in the last photo you are holding the Truth serum with two fingers; what is the brand & name of the color??? I have been noticing it in your recent posts – especially on your toes – and would love to purchase this. I think it just might be that ‘perfect’ polish I have been searching for. Oh, I like your robe it’s so beautiful but is it the same one as in the website (the color and the print different). I’ve tried their products before and love them!! These products seem to be very good! I have never heard of them before now! I will be checking them out, thanks! Yes! Have tried these and loved them! I love Ole Henriksen! My faves are his new balance line for oily skin.